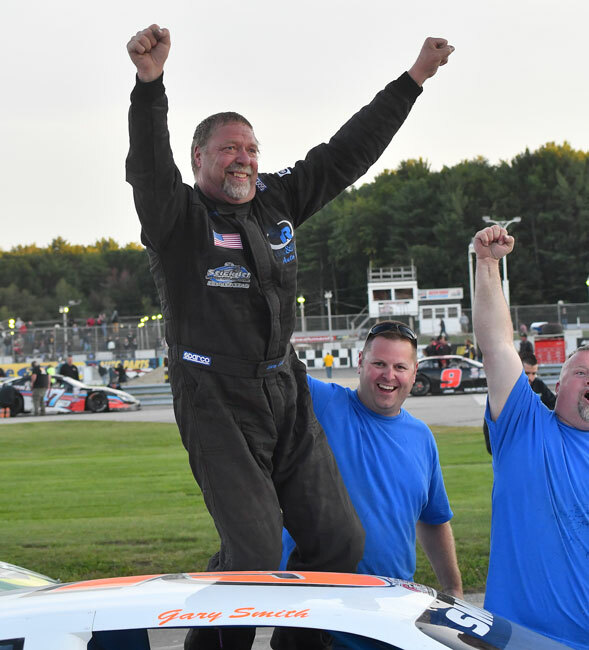 Scarborough, Maine -- Gary Smith of Bangor claimed his second career Pro All Stars Series Super Late Model win, and his first-ever Beech Ridge Motor Speedway victory, in the 150-lap main event at the historic Scarborough, Maine racetrack on Sunday afternoon. Smith chased Westbrook's John Peters in the early stages of the race, and once in front he was never seriously challenged, although it looked for a short while like former Beech Ridge champion Reid Lanpher of Manchester might provide a test, but a spin after some contact took Lanpher out of contention for the victory while battling Taylor for second spot. Taylor managed to hang on to second position in just his second appearance this year behind the wheel. Curtis Gerry of Waterboro, Maine rebounded from a bad heat race and almost going a lap down to Smith in the middle stages of the race to claim a third-place finish. Scarborough's Garrett Hall arced among the contenders throughout the 150-lapper to end up in fourth place. 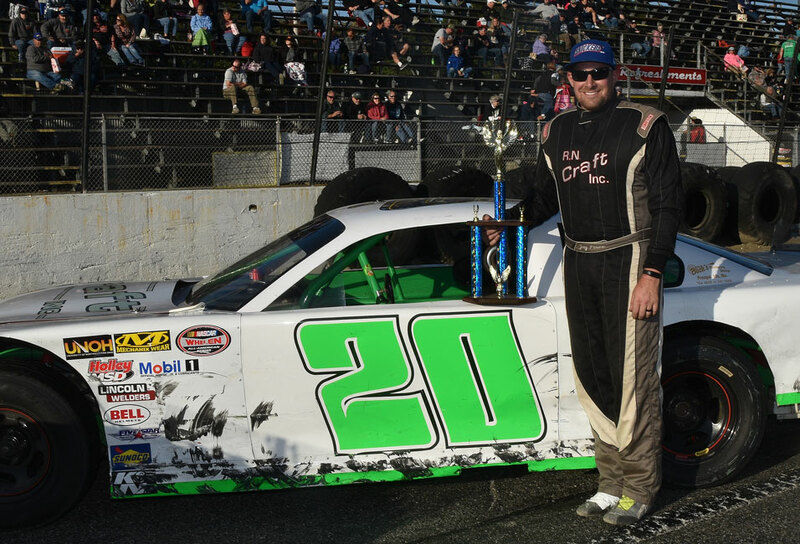 Travis Benjamin of Belfast, Maine made up a lot of ground in the 2018 PASS North Super Late Model championship contest, posting a fifth-place finish while the points leader, DJ Shaw of Center Conway, New Hampshire, was relegated to a 22nd-place finish after being sent into the backstretch wall. Donnie Colpritt, Jr. of Scarborough, Trevor Sanborn of East Parsonsfield, Alan Tardiff of Goodwins Mills, Lanpher, of Manchester, and Windham's Brandon Barker rounded out the top ten. 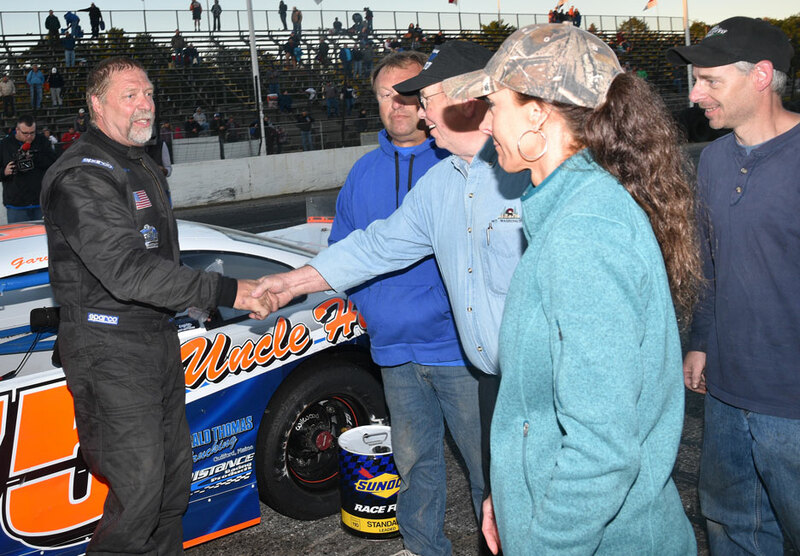 Wayne Whitten, Jr. of Arundel made his PASS Mods debut a memorable one, driving from dead last on the starting grid to win the 40-lap race after a seven-year absence from the cockpit of a racecar. Whitten took the lead away from Bruce Helmuth of Wales, who looked to be headed to victory lane for the second time this season when he gave Whitten enough room to get by, and the rusty veteran took advantage of the opportunity. Waterford's Spencer Morse, in just his fourth appearance in the class, came up one spot short of scoring his second victory, racing right on Whitten's rear bumper as they flashed under the checkered flag. Helmuth ended up in third position, with Gary Shackford of Center Conway, New Hampshire and Stetson's Wayne Allard filling out the top-five rundown. 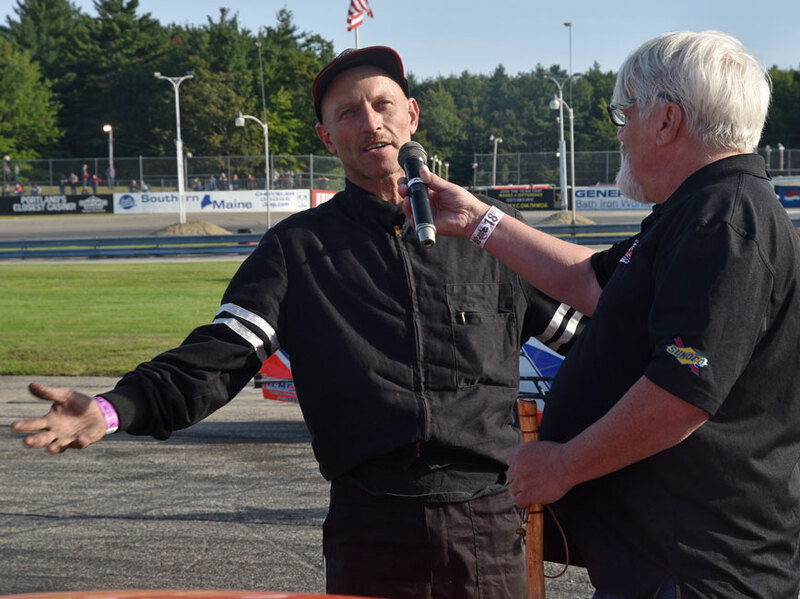 Terry Merrill of Saco came out on top in a highly-competitive, wildly-entertaining 50-lap race for the Beech Ridge Sport Series regulars. Merrill stalked an intense battle in front of his machine for most of the race, as first Scarborough's Charlie Sanborn III and then Devin Curit of Saco waged intense battles for the lead with newly-crowned Sport Series champion Joe Pastore of Gorham. Those battled helped open the door for Merrill, who found room to race underneath his rivals as they swapped paint and caved in sheet metal. Alex Lacognata made a late charge into second place as the checkered flag, with Pastore recovering to post an impressive third-place finish when all was said and done. Durham's Kenny Harrison and Sanborn rounded out the top five. Sanborn and Pastore were the heat race winners and they waged a side-by-side battle for nearly 15 laps to open the main event. Billy Childs, Jr. of Leeds outran the competition in a special 50-lap open race for Oxford Plains Speedway Street Stocks, Beech Ridge Wildcats and other similar racing divisions. Childs chased Buckfield's Kyle Treadwell for almost half the race before outrunning Gray's Tyler King to the checkered flag. 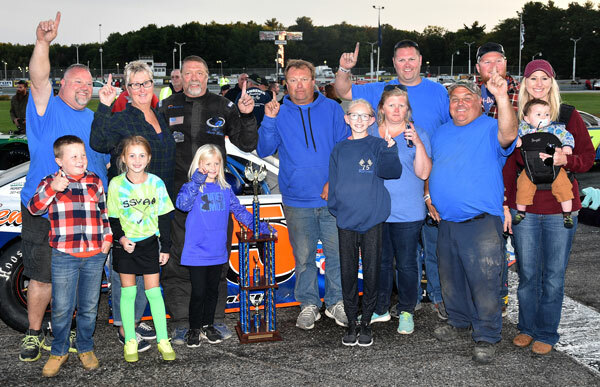 Treadwell's third-place finish finished off a podium sweep for the invaders, with Adam Lovejoy of Sanford best among Beech Ridge weekly racers in fourth place. Greene's Zach Bowie rounded out the top five. Lovejoy and Treadwell won 10-lap heat races. 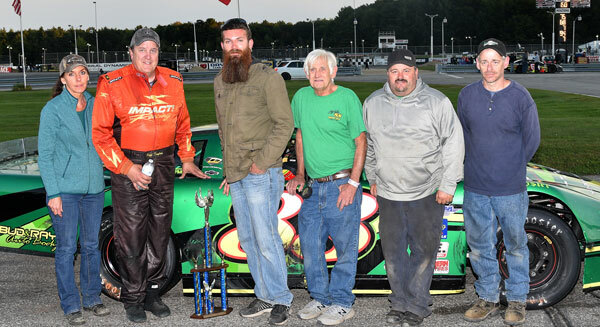 The next Pro All Stars Series North Super Late Model event is scheduled for this Friday night, September 28, at Thunder Road International Speedbowl in Barre, Vermont. Post time is 6:00 p.m. For more information please visit proallstarsseries.com or call (207) 539-8865. 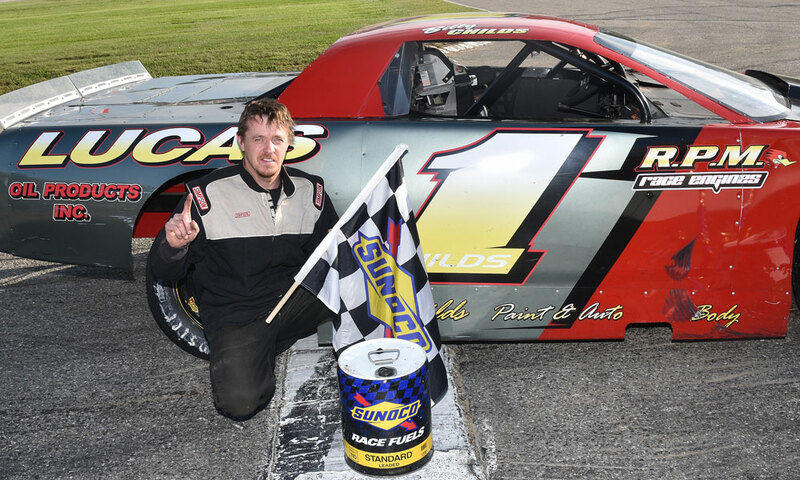 PASS Mods (40 laps) 1 12 Wayne Whitten, Jr., Arundel; 2 34 Spencer Morse, Waterford; 3 25 Bruce Helmuth, Wales; 4 60 Gary Shackford, Center Conway, NH; 5 15 Wayne Allard, Stetson; 6 10 Derek Kneeland, Sebago; 7 14 Mark Napolitano, North Yarmouth; 8 2 Randy Sanborn, West Baldwin; 9 33 Billy Dixon, Waterboro; 10 19 Ben Tinker, New Gloucester; 11 85 jariet Harrison, Freeport; 12 16 Patrick Sullivan, Poland; 13 35 Kristina Nadeau, Buxton. Wildcat/Street Stock Open (50 laps) 1 1 Billy Childs, Jr., Leeds; 2 11 Tyler King, Gray; 3 44 Kyle Treadwell, Buckfield; 4 9 Adam Lovejoy, Sanford; 5 21 Zach Bowie, Greene; 6 61 Matt Dufault, Turner; 7 12 Skip Tripp, Norway; 8 62 Nick Stanley, Oxford; 9 36 Nathan Leavitt, Buxton; 10 1 Ed Connolly, Scarborough; 11 75 Tucker Cole, Saco; 12 27 Patrick Thorne, Standish; 13 81 Lewis Anderson, Buxton; 14 84 Troy Morse, Bridgton; 15 64 Matty Sanborn, Windham; 16 8 Michael Roe, West Paris; 17 99 George Haskell, Casco; 18 47 Brian Caswell, Hollis. 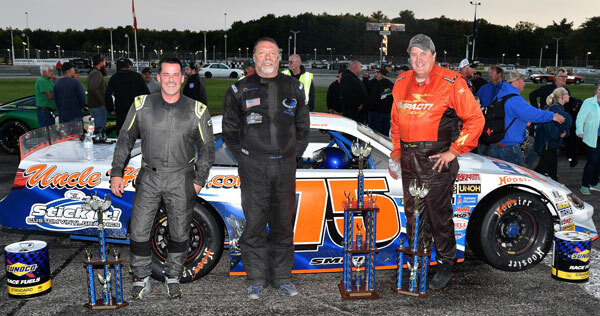 Sport Series (50 laps) 1 12 Terry Merrill, Saco; 2 14 Alex Lacognata, Scarborough; 3 20 Joe Pastore, Gorham; 4 85 Kenny Harrison, Durham; 5 1 Charlie Sanborn III, Scarborough; 6 4 Curtis Gleason, South Portland; 7 8 Clyde Hennessey, Windham; 8 5 Devin Curit, Saco; 9 20 Frankie Wear, Scarborough; 10 27 Richard Pelton, Scarborough; 11 15 Mike St.Pierre, Buxton; 12 28 Nate Leavitt, Buxton; 13 07 David Charest, Westbrook; 14 84 Matt Dow, Hollis; 15 2 Travis Lovejoy, Waterboro; 16 54 Nick Campbell, Arundel; 17 31 Shawn Brackett, Scarborough. Stock 350 Outlaw (50 laps) 1 5 Jason Gammon, Hollis; 2 38 Wade Gelinas, Limington; 3 19 Steve Moon, Gray; 4 29 Dean Hanscom, Gray; 5 27 Chris Burgess, Hartford; 6 55 Brandon Johnson, Hollis; 7 31 Mike Ramsey, Dayton; 8 27x Scott Eck, Lisbon; 9 70 Kirk Bean, Alfred; 10 9 Michael Deardon, Portland; 11 43 Andre Gailloux, Biddeford; 12 8 Jimmy Duguay, Lewiston; 13 24x Danny Cloutier, Kennebunk; 14 07 Mark Grantham, Casco; 15 39 Gerry Freve, Buckfield; 16 2 Ajay Cates, Lyman; 17 4 Calab Emerson-Mains, Richmond; 18 74 Rick Thompson, Naples; 19 18 Devon McConologue, West Newfields; 20 80 Todd Libby, West Baldwin; 21 17 Kathryn Childs, Auburn. Stock 305 Mad Bomber (50 laps) 1 5 Jason Gammon, Hollis; 2 80 Todd Libby, West Baldwin; 3 38 Garrett Lamb, Windham; 4 18 Devon McConologue, West Newfields; 5 72 Mike Sanford, Scarborough; 6 21 Lyman McKeage, Baldwin; 7 00 Matt Lude, Hollis; 8 03 Bob Wilson, Buxton; 9 8 Betty Nelson, Limington; 10 70 Kaleb Bean, Alfred; 11 31 Jeff Martel, Arundel; 12 43 Justin Gailloux, Biddeford; 13 22 Ryan Lund, Westbrook; 14 9 Michael Deardon, Portland; 15 56 Jon McConologue, West Newfields; 16 12 Derick Burnham, Gorham; 17 55 Brandon Johnson, Hollis; 18 88 Chad Moreside, Biddeford; 19 27 Scott Eck, Lisbon; 20 24 Robert Pierce, Biddeford; 21 28 Jimmy Burnham, Windham; 22 35 Jason Ricker, Poland; 23 85 Joe Poole, Raymond; 24 40 Jason Kennedy, Standish; 25 93 Dan Collins, Sanford; 26 47 Taylor Graffam, Hollis; 27 80x Sara Libby, Porter. Stock 4 Beetle Bug (35 laps) 1 54 Kyle Hewins, Oxford; 2 52 Chad Wills, Buckfield; 3 1x Kevin Varney, Mechanic Falls; 4 18 Dustin Salley, Poland; 5 12x Adam Sanborn, West Paris; 6 1 Derek McKeen, Windham; 7 12 Darryl Quinlan, Westbrook; 8 46 Mark Brulotte II, Limington; 9 53 David Whittier, Poland; 10 16 Derrick Drown, Lyman; 11 69x Travis Dunbar, Auburn; 12 25 Robert Flaherty, unknown; 13 82 Kara Krauter, Gorham; 14 28 David Stone, Jr., Sanford; 15 20 Robert Taylor, Berwick; 16 51 Paul Goodrich, Old Orchard Beach; 17 8 Josh Knoll, Wells. 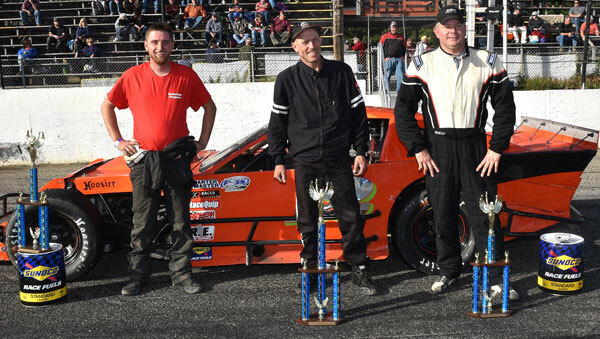 Runnin' Rebel (35 laps) 1 95 Cody Childs, Auburn; 2 11 Cam Childs, Leeds; 3 28 David Stone, Jr., Sanford; 4 05 Gerard Cote, Oxford; 5 1 Derek McKeen, Windham; 6 84 Doug DeGroat,Oxford; 7 71 Chris Foster,Lisbon; 8 69 Adam Warnock, Buxton; 9 1x Kevin Varney, Mechanic Falls; 10 69x Travis Dunbar, Auburn; 11 14x Adam O'Neil, Lewiston; 12 16 Derrick Drown, Lyman; 13 82 Ben Krauter, Gorham. 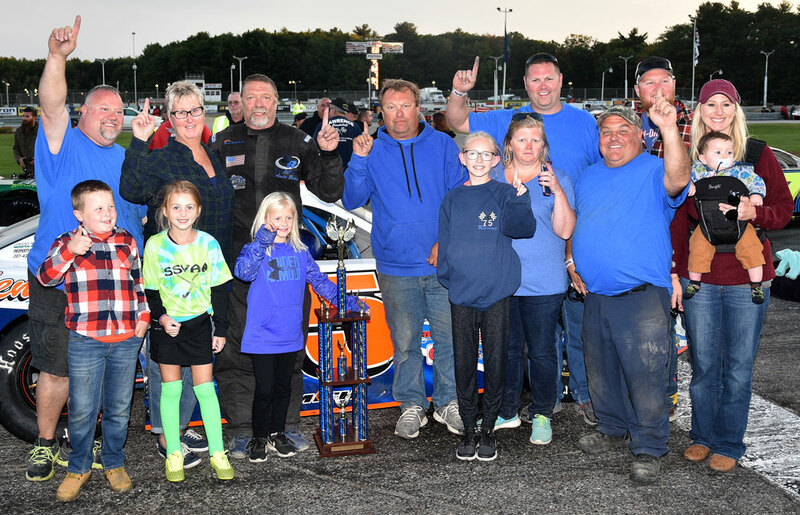 Bandits (25 laps) 1 54 Kyle Hewins, Oxford; 2 18 Dustin Salley, Poland; 3 2 Shaun Hinkley, Oxford; 4 52 Chad Wills, Buckfield; 5 12x Adam Sanborn, West Paris; 6 1x Kevin Varney, Mechanic Falls; 7 08 Mike McKinney, Berlin, NH; 8 53 David Whittier, Poland; 9 8 Josh Knoll, Wells; 10 77 Rob Crepeau, West Paris; 11 25 Robert Flaherty, unknown; 12 12 Darryl Quinlan, Westbrook; 13 51 Paul Goodrich, Old Orchard Beach. Trucks (20 laps) 1 44 Jeff Gillette, South Portland; 2 4 Jared Kimball, Arundel; 3 68 Devin Curit, Saco; 4 07 Mark Grantham, Casco; 5 69 Jeff Meserve, Saco; 6 48 Will Potter, Windham; 7 39 Brad Weismann, Saco; 8 45 Mike Mayberry, Greene. Cruisers (15 laps) 1 1 Brandon Varney, Mechanic Falls; 2 4 Will Dunphy, New Gloucester; 3 26x Luke DeCoster, Greene; 4 1x Kevin Varney, Mechanic Falls; 5 74 Richard Thompson, Jr., Naples. 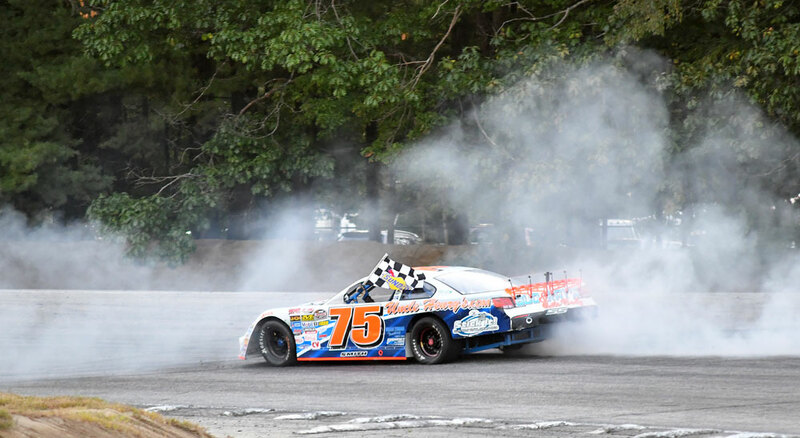 ANAPLES, ME (September 21) - With the season starting to wind down, a big field of Pro All Stars Series (PASS) North Super Late Models and PASS Modifieds will be back on track this Sunday afternoon for 150 laps at Beech Ridge Motor Speedway. 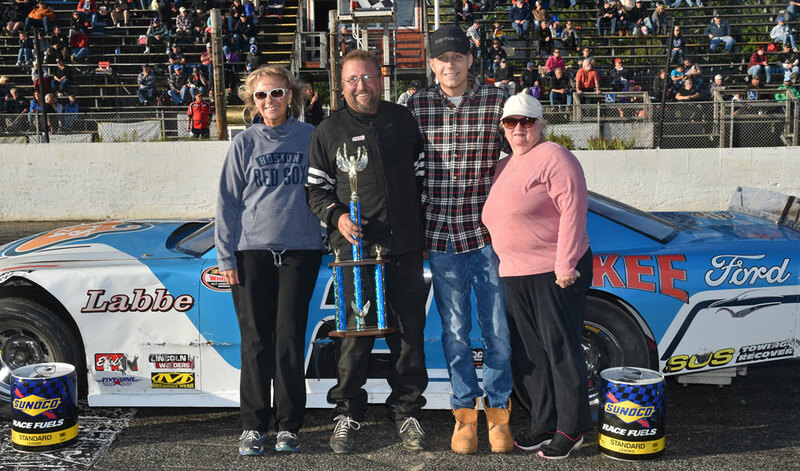 The battle for the Northeast's most prestigious Super Late Model championship has come down to a pair of former two-time champions. New Hampshire's DJ Shaw and Maine's Travis Benjamin are separated by 51 points heading to Beech Ridge, where a bad finish could prove disastrous with around 30 competitors expected on Sunday. After a strong start to the season with two wins, Derek Griffith comes to Beech Ridge hoping to get back on track, while defending race winner, Garrett Hall looks for his first win of the season. 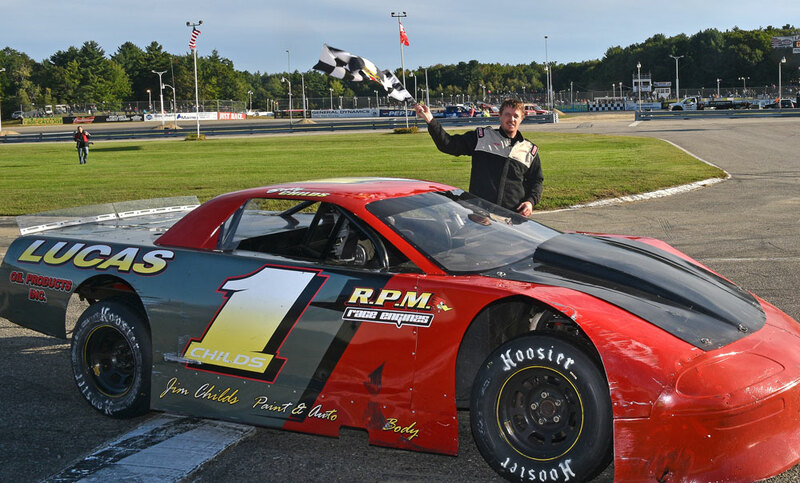 Speaking of first wins, 4-time PASS National Champion, Ben Rowe is riding high following a win last weekend at White Mountain Motorsports Park, his first New England win in over two years. But, they will not be the only contenders. 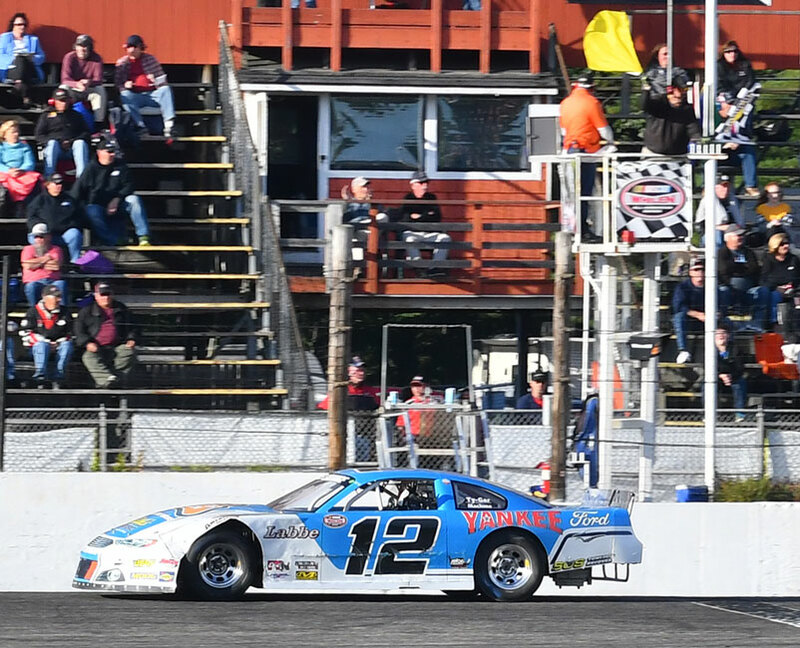 Last year's Oxford 250 winner, Curtis Gerry, will be back at his home track looking to back up his win there from earlier this year. And, former Beech Ridge regular, Reid Lanpher also return as he seeks his second PASS North win of 2018. 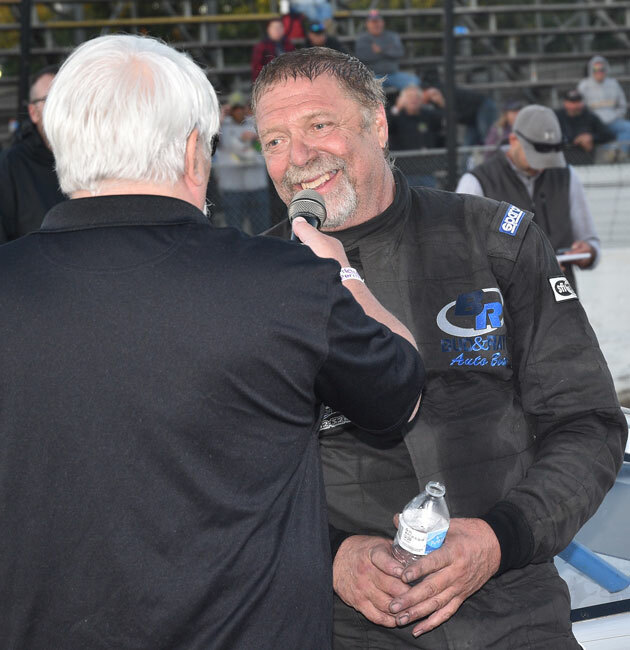 An extremely strong field is expected for Sunday afternoon's action at Beech Ridge Motor Speedway including former Oxford 250 winner, Wayne Helliwell, Jr., along with fellow Granite Stater, Dan Winter. 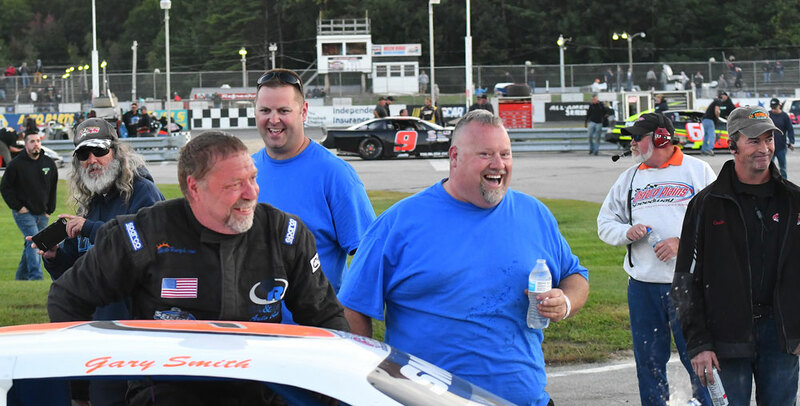 Maine racers will be a plenty, led by Oxford Plains Speedway track champion, Gabe Brown, and drivers such as Calvin Rose, Jr., JT Thurlow, Alan Tardiff, Trevor Sanborn, Dennis Spencer, Jr., John Peters, Tim and TJ Brackett, Gary Smith, and Derek Kneeland. Nick Sweet will make the tow from Vermont, while Craig Weinstein will be coming up from Massachusetts. Action gets under way on Saturday with practice for the PASS North Super Late Models, while the Trucks, Bandits, Mad Bombers, Stock 4, Rebels, Cruisers, and Stock 350/Outlaws will starting racing at 6 PM. On Sunday, gates open at 8 AM, with practice starting at 10 AM, heat races at 3 PM, and main events to follow for the PASS North Super Late Models, PASS Modifieds, Wildcat/Street Stocks, and Sport Series. PASS Super Late Model entry forms for Beech Ridge Motor Speedway and Thunder Road International Speedbowl, along with the inaugural PASS Commonwealth Classic at Richmond Raceway, can be found at ProAllStarsSeries.com. 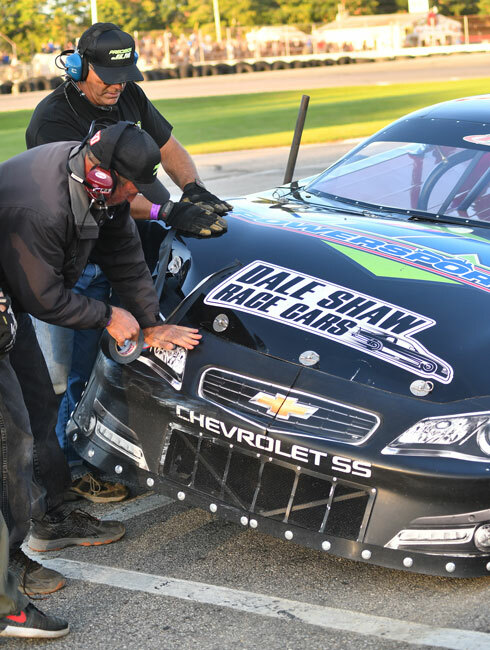 The Pro All Stars Series is recognized as North America's premier sanctioning body for asphalt Super Late Models and boasts such marquee events as the legendary Oxford 250 at Oxford Plains Speedway, PASS South's Easter Bunny 150 at the historic Hickory Motor Speedway, and the PASS Commonwealth Classic at Richmond Raceway. For technical information concerning all PASS divisions please send questions to passracing@roadrunner.com. And, don't forget to "Like" the Pro All Stars Series on Facebook or follow us on Twitter @PASSSLM14 to keep up with breaking news as it happens.